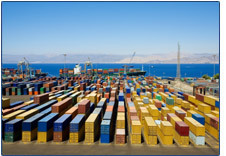 World Cargo Transport, Inc., headquartered in Woodbridge, New Jersey, is a provider of logistics services to and from almost anywhere in the world. In just a short time, we have established a reputation of commitment to customer service, a strong and knowledgeable staff, and reliable information. We are also proud of our growing network of overseas agents, which ensures a smooth path for your cargo with minimal delays. All of our employees take pride in their work, and provide quality and courteous service to every single client, regardless of the size of their company, or the frequency of their shipments, which makes World Cargo Transport, Inc. the first choice for services. With a successful blend of tradition and innovation, different backgrounds and experience, our staff is working hard to raise the standard of global logistics so that your cargo travels to its final destination in the quickest, and most efficient way possible. In addition to our promise of superior cargo handling, we dedicate a lot of time to ensure all our staff members are continually educated and trained on new technologies and policies of the industry, so that they can provide accurate answers to any questions you may have. You can feel confident with putting the trust of your shipment in the hands of our company - you'll always receive premium service, without having to pay premium costs. Please click here for a list of open positions and their location. If you would like to submit a resume for review, or have any questions about opportunities that may become available, please feel free to contact us by clicking below. Copyright ©, World Cargo Transport, All Rights Reserved-2016.